New York City appealed its global warming lawsuit against oil companies after a federal judge tossed out the suit in July. Mayor Bill de Blasio wants “billions” from oil companies, much of which will benefit trial lawyers. New York City was one of at least four other localities to bring suit against oil companies over the alleged damages wrought by man-made warming. New York City appealed a federal judge’s July decision to toss out the city’s global warming suit against five major oil companies. “No federal policy or statute regulates the relief sought in this suit — compensation for local harms resulting from the effects of climate change — or purports to prevent state-law tort suits seeking such relief,” city lawyers wrote in the appeal filed last Thursday in a federal appeals court. A view of the United States District Court for the Southern District of New York November 17, 2009. 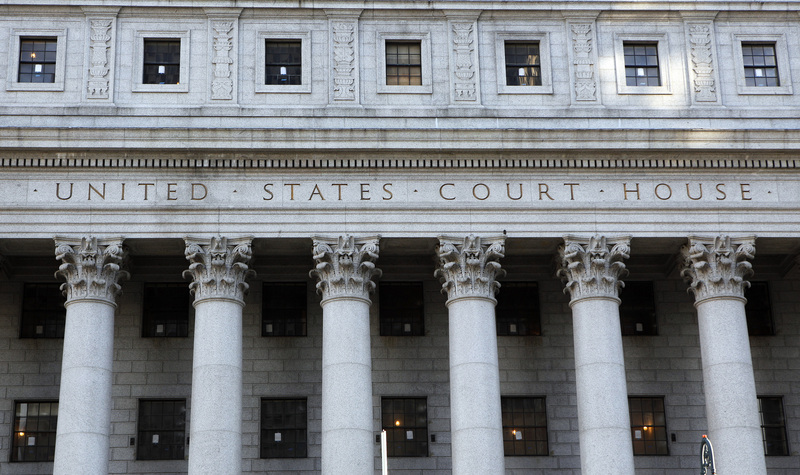 Five men, including the accused mastermind of the September 11, 2001, attacks Khalid Sheikh Mohammed, will be brought to New York from the U.S. military prison at Guantanamo Bay, Cuba, to face prosecution in federal court. The courthouse complex is just blocks away from where the 2001 attacks destroyed the World Trade Center’s twin towers in lower Manhattan and killed nearly 3,000 people. REUTERS/Chip East. Trials lawyers with the firm Hagens Berman Sobol Shapiro LLP aided New York City, San Francisco, Oakland and Washington state’s King County in suing oil companies over global warming, working in exchange for a percentage of any winnings, called a contingency fee. Hagens Berman stood to earn billions of dollars from a favorable judgement against oil companies. Cities that sued claimed billions of dollars worth of damage from global warming induced by fossil fuels. 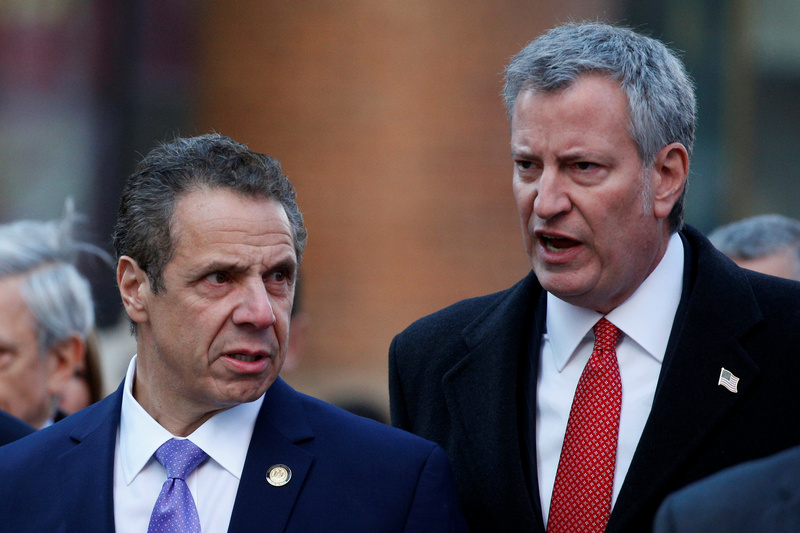 Mayor Bill de Blasio said in January that “[w]e’re looking for billions to make up for what they’ve done to us,” referring to the alleged damages from global warming, including Superstorm Sandy. New York State Governor Andrew Cuomo and New York Mayor Bill de Blasio speak as they arrive for a news conference outside the New York Port Authority Bus Terminal following reports of an explosion, in New York City, U.S., December 11, 2017. REUTERS/Brendan McDermid. New York City’s appeal comes nearly one month after state Attorney General Barbara Underwood filed suit against Exxon for allegedly misleading investors about the risks it faces in the future from climate regulations. A U.S. District Court judge in Northern California in June struck down lawsuits brought by the cities of San Francisco and Oakland against oil companies. However about six other California cities are also suing oil companies over global warming, but are being represented by another plaintiff’s firm, Sher Edling.